Home automation and remote control is a pretty hot topic in the tech world. Pundits and dreamers have been rooting for them for years now, and plenty of interesting concepts have emerged. Unfortunately, real-world implementations tend to kind of clunky or cost would-be customers a fortune. But savvy inventors and developers are still innovating. And with the march of mobile platforms like iOS and Android, the turnkey mobile technology that makes the whole thing more convenient and feasible is already sitting in most people’s pockets. That’s the piece of the puzzle that can drastically reduce expenses and create a level playing field for anyone with a good concept, a little funding and some business sense. No wonder we’re seeing more bootstrapping start-ups jumping into this pool. Case in point: Lockitron made headlines recently with a new security solution that does for family homes what some rental car companies do with vehicles — allow them to be opened using a smartphone. The device itself is an add-on for a home’s physical lock and key that’s affordable, easy to install and extremely user-friendly. Not only does it allow remote access, but if you want, you can even set it to push alerts whenever your doors are opened. But why stop at front doors? You’ll be able to activate home electronics and appliances from anywhere, without complication or high cost, thanks to UBE (“yoo-bee”). The Austin-based company just got funded for a clever home automation idea — turning existing devices into IP-based gadgets. We’ve seen crafty techheads make their own DIY rigs, but UBE’s approach would offer an easy-to-use, shrink-wrapped solution for Smart TVs, settop boxes, AV receiver, thermostats, garage doors and more. The company’s kit includes a smart dimmer, smart wall outlet and/or a smart plug (pictured above) that end users install so they can trigger any connected device over their home network or Internet via smartphone. The product doesn’t have an official launch date yet, as it’s still in its initial stages: UBE scored $300,000 in seed money so it can build its first prototypes and version 1 of its mobile app. (It’s also reportedly heading to Kickstarter for more funding.) So if you’re interested in this idea, you’ll want to keep your eyes peeled for more updates in 2013. 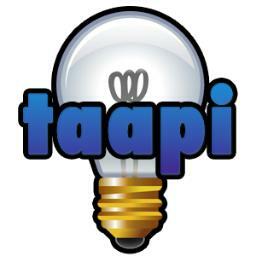 Then there’s Taapi, which just launched its funding drive on Indiegogo. I got wind of Taapi from my husband, who (full disclosure) is affiliated with the venture. What he showed me was an interesting concept with big ramifications for energy conservation. It takes a mundane chore like shutting off the lights and turns it into a crowd-sourced game: Customers buy the kit, hook it up at home, and then designate when their lights are available to be turned off by “players” located anywhere in the world (using iOS, Android and OUYA apps, as well as via the Web). Considering that a third of all lighting in the U.S. represents wasted energy (amounting to a $2 billion a year loss), this has a huge potential to make a real-world difference. Even more interesting is the API; it allows any developer to jump in and create all sorts of uses and games for any home device that plugs into an electrical outlet. Each of these companies are focusing on particular niches, which makes sense, as customers would be more likely to try out lower-cost individual features, rather than a comprehensive (and pricey) whole-home solution. And this is just the beginning. More innovators are bound to jump on this bandwagon, bringing all sorts of new and clever solutions for things we didn’t even know we wanted or needed, but would gladly welcome into our homes and smartphones. And all without soldering anything, rigging up a heinous mess of cords or paying a ridiculous load of cash. What niche in home automation or control do you think is just begging to get filled? Is it locks? Lights? Or a remote function for your electronics or climate control? Tell us what you’d love to see come to market in the comments below. As a bonus, here are some classic clips from The Big Bang Theory that are barely relevant, but super fun. (Spoiler alert: If you haven’t seen season 1 of the show — well, where have you been? Uh… I mean, if you haven’t seen season 1, you may want to avert your eyes from these clips from episode 9, “The Cooper-Hofstadter Polarization.”) Enjoy.